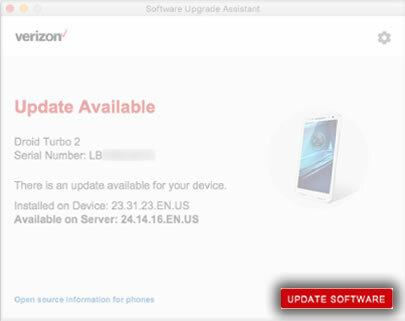 This helps you update the software on your Motorola device using your PC or Mac, in the event an Over-the-Air (OTA) software update fails. 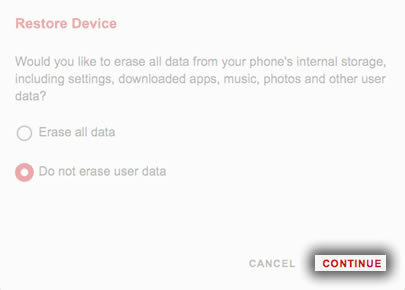 To perform the steps below, a data cable or adapter is required and may not be included in-box for all devices. A data cable can be purchased from any Verizon Wireless tienda o en la tienda por internet. 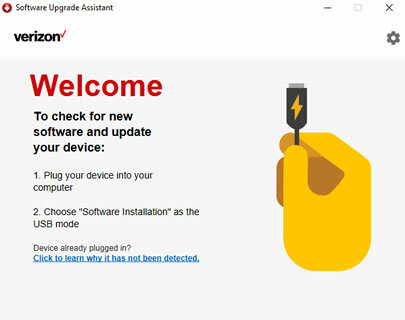 Ensure the wireless device is powered on, unlocked (if device lock-enabled), and connected to a computer using a compatible USB cable. La versión más reciente del software estará disponible en la herramienta SUA/SRA dentro de una semana a partir del lanzamiento de la nueva actualización de software. During this time, the SUA/SRA is unavailable for usage. Use this info for devices manufactured after 8/20/2013. 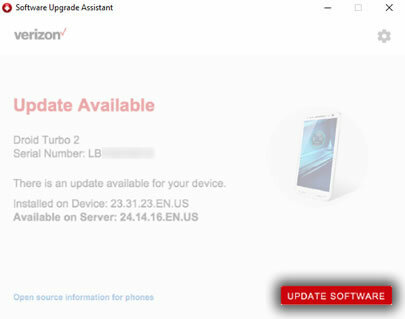 For older Motorola devices, refer to Software Update - Software Upgrade Assistant o Software Repair Assistant. El proceso de actualización de software puede demorar hasta 30-90 minutos. No desconectes el dispositivo de la computadora durante el proceso de actualización. Se usan los siguientes pasos cuando la verificación de actualizaciones automáticas está activada. Ensure the Software Upgrade Assistant (SUA) software is installed. Consulta Initial Setup - Software Upgrade / Repair Assistant para obtener ayuda. Ensure the wireless device is powered on, unlocked, and connected to a computer using a compatible USB cable. From the device, swipe down on the status bar (located at the top), tap the USB connection entry, then tap Software Installation mode. Si hay una actualización disponible, aparecerá un elemento emergente en la barra de tareas. Haz clic en el elemento emergente para iniciar el SUA. 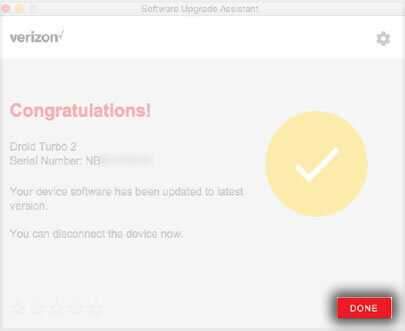 If the pop-up doesn't appear, right-click the Software Upgrade Assistant tray icon to launch the Software Upgrade Assistant tool. Las imágenes pueden variar en función del dispositivo y el sistema operativo. From the SUA, click UPDATE SOFTWARE (located on the lower-right). 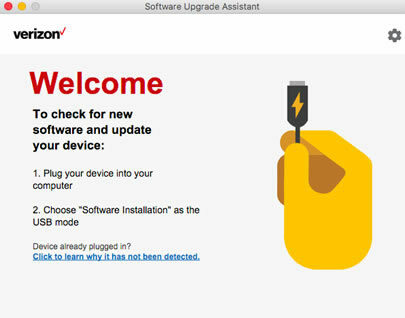 When the software upgrade process has completed, click Done (lower-right) and disconnect your device. If the update fails to install or the device is up-to-date, click RESTORE DEVICE. 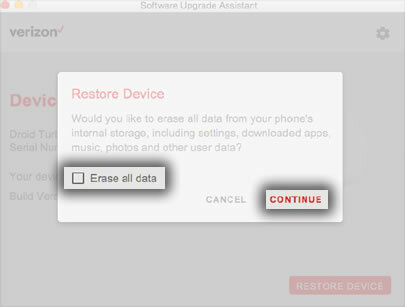 On the Restore Device screen, select whether to erase or keep the device data then click CONTINUE. When the restoration process is complete, click Done and disconnect your device. The SUA opens and checks for updates. When the software upgrade process has completed, click Done (lower-right). On the Google Account info needed screen, select the appropriate option then click PROCEED. 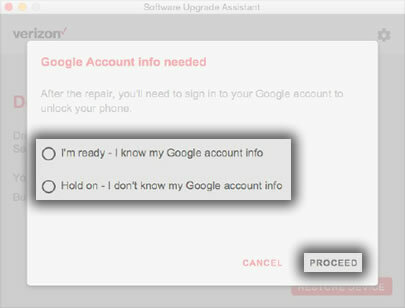 If "Hold on..." is selected, the SUA gives instructions on how to remove the Google account from the device.